Haptic technologies can be regarded as a natural progression in the increased sophistication in devices. Aviation, robotics and gaming are the early adopters of haptics, but the technology's decisive push began when haptics broke into the mobile device segment. Another innovation debuted in handset tactile technology earlier this month, at the Mobile World Congress Americas conference. 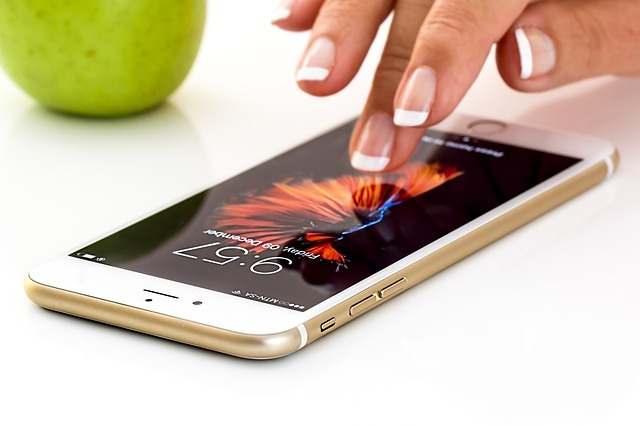 A Silicon Valley start-up company introduced a haptic technology that allows phone designers and application developers tools to add haptic feedback capabilities anywhere on a device's display, reports IT Pro. The built-in and customizable haptic feedback would render physical buttons obsolete. Tim Szeto, CEO and founder of Nanoport, a research and development lab, says the company's tactic strategy hinges on its TacHammer, the first 3-mode tactile feedback actuator on the market. Conventional haptics rely on bursts of controlled vibrations, but the TacHammer also generates individual pulses, taps, clicks and even sharp jolts. The magnetic hammer is suspended in the air by a magnetic array, creating the widest range of haptics in the industry, the company claims. The TacHammer, a small component containing an electro-magnetic coil, can be built into smartphones and other devices to expand their haptic features. Whereas most haptic capabilities work using bursts of controlled vibrations, the magnetic hammer can be customized, thus replacing the existing vibration motors used in smartphones. "Software developers can now use haptics to make their software UI feel like it has physical buttons," Szeto says. "Maybe one day we won't need any real mechanical buttons at all." The technology's springless design reduces actuation resistance, which allows it to produce greater force with up to five times less power than existing technologies. According to IT Pro, Nanoport is planning to bring its haptic designs to virtual reality devices, as well. Televisions, gaming boxes, and automobiles will feature feedback and touch-screen displays, and console buttons. Users activate the TacHammer by squeezing its sides, producing taps, pulses and vibrations that communicate functions in the handset. Nanoport says users would "feel" thunder, gunshots or even the beating of a heart while playing a game or using an app. The confluence of haptic technology with mobile devices has multiplied the effect on the market size for haptic technology. BCC Research estimates the global haptic technology actuator market to almost double in five years to reach $12.8 billion by 2022. Find out more by downloading BCC Research's report overview Haptic Technology: Applications and Global Markets (IAS101B).